4K60hz 4:4:4 HDR Supports 4K 3D HD 1080P for SKY TV, FOXTEL, Xbox S, Xbox X, PS4, Apple TV. 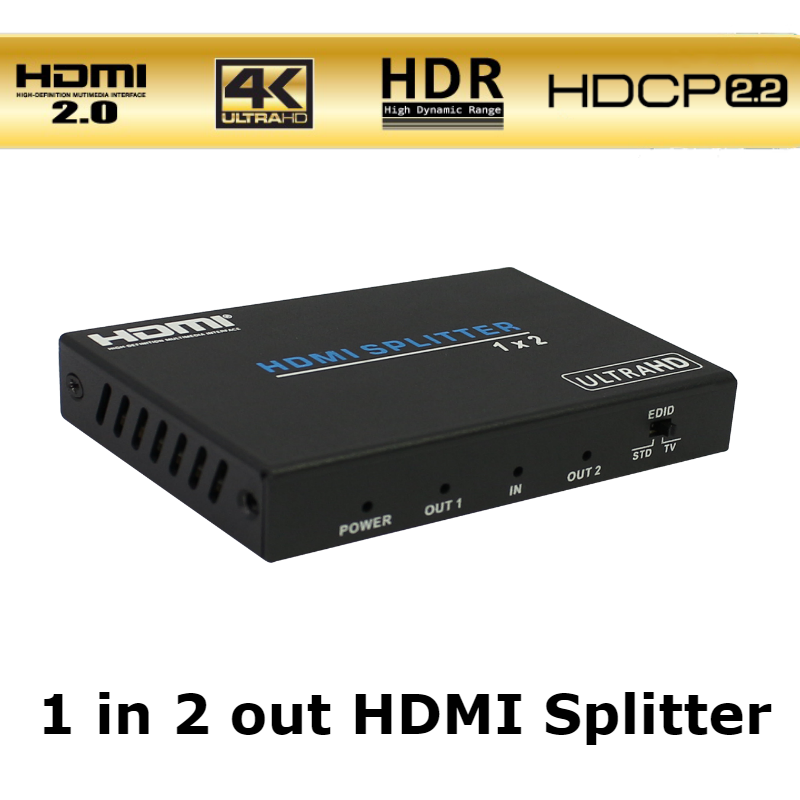 Aeon HD0102 is a 1 x 2 HDMI splitter that will reliably distribute one HDMI input signal and output it 2 ways at resolutions up to?4K@60Hz with 4:4:4 chroma subsampling. It is HDCP 2.2 compliant and is an HDMI 2.0b specified, The Aeon HD0102 supports data rates up to 18 Gbps, HDR (high dynamic range). This unit is more than capable of splitting MySky HDMI signals and is perfect for gamers who want 4K HDR with high frame rates.